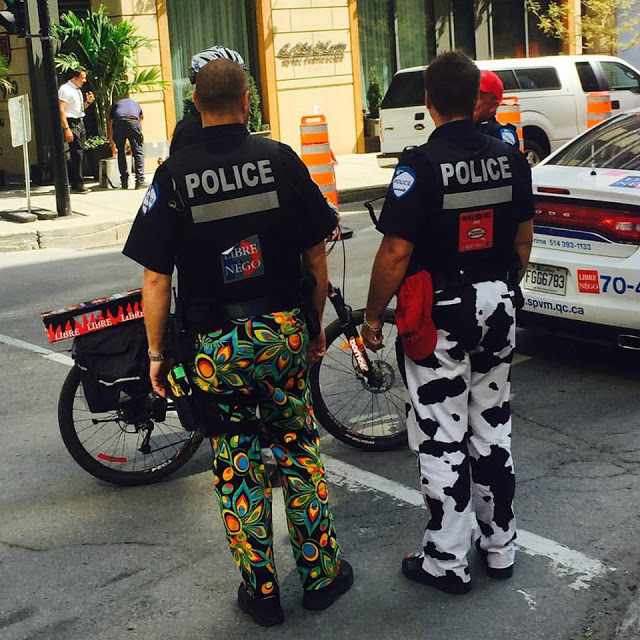 The police in Quebec have a problem. Around 10 years ago, the police disputed a change in their pensions. It is illegal for them to strike, so in protest, they started to wear jeans instead of uniform pants. Over the years, the britches have become more colorful. 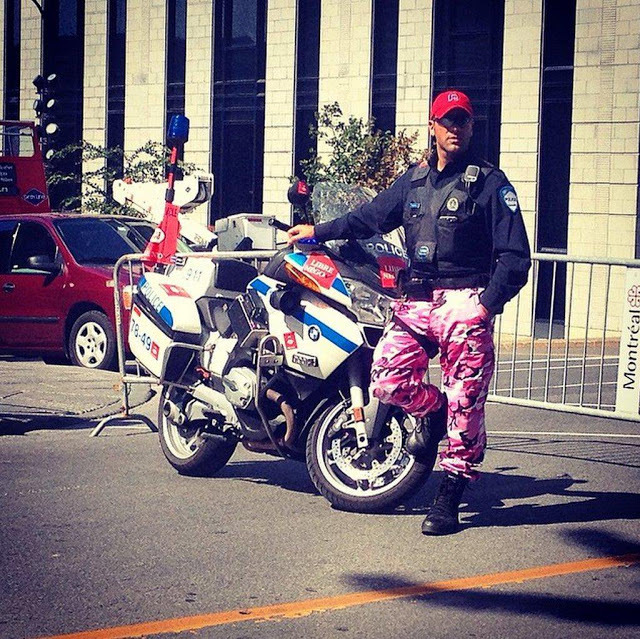 The city of Montreal has attempted to force pants compliance, citing concerns that citizens have confused police for rioters and robbers. 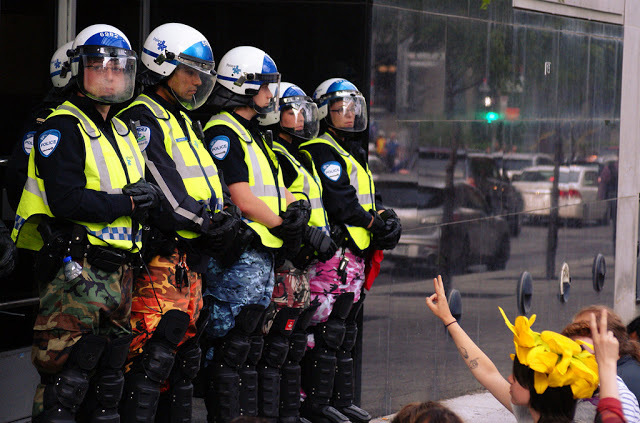 Judges and labor boards have refused to mandate non-rioter / non-robber apparel, not believing the public is in jeopardy. A new bill has been proposed arguing that alternative pants are not compatible with the display of appropriate decorum. 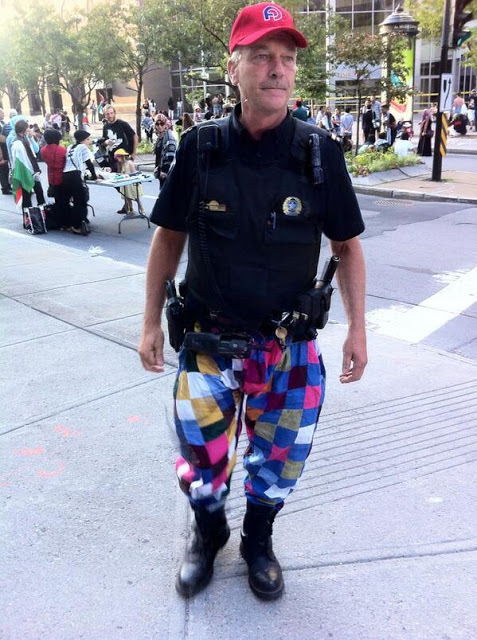 The bill would allow officials to fine non-official-police-trouser-wearing police. The police union will argue that the choice of garb is a constitutional right. However, it has been pointed out, that after all this time, the protest doesn't appear to be particularly effective and other tactics may be worth exploring. 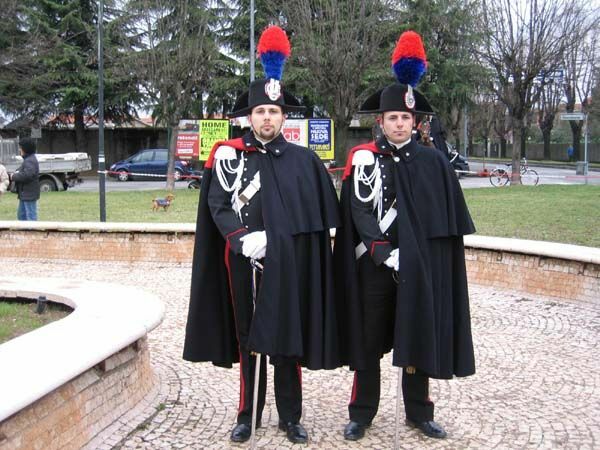 The Carabinieri is a military force charged with police duties in Italy. The force is 200 years old so they have some awesome accouterments. Big hat plume, decorative braid, dramatic cloak and a saber! Conversely, they could go for Norwegian minimalism.